This year, the Cayman Islands were voted one of the best overall diving destinations in the Caribbean and Atlantic in Scuba Diving Magazine's Readers' Choice 2015 awards. A location known worldwide for offering first-class diving, as well as a myriad of other great experience, the sites found offshore are unparalleled in their beauty and excitement. Read on for 5 Cayman Islands dive sites you absolutely need to visit. Perhaps the most well known, the sand bars of Stingray City can be found off of Grand Cayman's North Sound. A shallow area, divers are able to swim with and feed friendly southern stingrays at a depth of up to 4 metres. Ideal for beginners, this area is also an incredibly popular tourist attraction. The USS Kittiwake is a former navy ship that sunk off of Seven Mile Beach in 2011 after being in use for half of a century. Divers are able to explore all 5 levels of the 76.5 metre ship in length, underwater – including the mess hall, ammunition lockers, propulsion rooms and more. The site goes as deep as 20 metres, making it ideal for all levels of expertise. 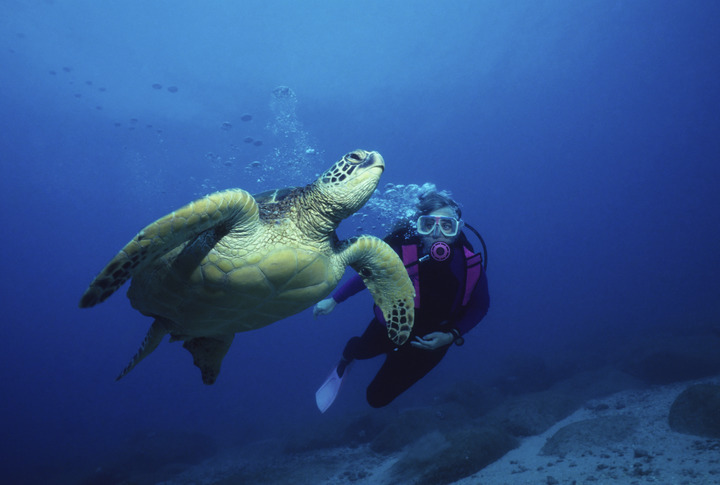 This site also offers a great view for snorkelers. Another sunken ship, the MV Captain Keith Tibbetts was brought to the islands from Cuba and can be found just off of Cayman Brac's coast. The only warship of Soviet origin that is accessible to divers in the West, the wreck was divided into two parts by Hurricane Ivan in 2004. Great for underwater photography, portions of the inside of the ship are still accessible and it is home to many species of marine life, including barracuda, grouper, tube sponges and more. Located on Grand Cayman's West Side, Trinity Caves is home to several swim-through tunnels, complete with stunning coral formations. After swimming through, divers emerge along a deep wall and must venture through an archway, after which they swim up around a pinnacle and back through a separate tunnel. That tunnel leads to a breathtaking shallow reef area. A nearby sand flat is home to eagle rays. A site meant for intermediate divers, Easy Street's keyhole swim-through makes it truly unique. At a depth of 100 feet, it is situated off of West Bay. Many additional swim-throughs make great hiding places for all species of marine life, including orange elephant ear sponges, and stunning Hawksbill Turtles, a common predator of the aforementioned, frequent the area. When it comes to Cayman Islands dive sites, there are too many to choose from! The USS Kittiwake, Stingray City, Trinity Caves, the MV Captain Keith Tibbetts and Easy Street are only 5 of the best – stay tuned for Part 2 and in the meantime let us know which is your favourite on Facebook or Twitter. Tuesday, 24th March 2015, 08:13pm.